We were last inspected in March 2019, when our Overall effectiveness was graded as Good. The latest report can be downloaded here: Ofsted Report 2019. Or you can see our highlights from our 2019 report here. Term Dates / School Holidays - Academic Year 2018/2019 are available to download. Term Dates / School Holidays - Academic Year 2019/2020 are available to download. Please note all sandwiches will be on a brown breadcake. Nook Lane is using the Leading Parent Partnership Award (LPPA) as a framework to help to further strengthen our partnership with parents and families. The LLPA is a national award and a valuable school improvement tool that will help us to continue to increase the involvement of parents and families in their children's learning experiences. Our Parent Partnership Policy is available to download. 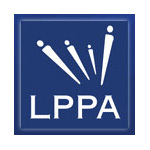 ... and more about LPPA at Nook Lane can be found on our own LPPA page. 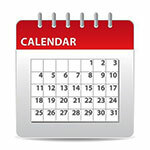 There will be Parent Forum sessions every half term from now on and there will be a different focus each time. Information about this will follow in the new year. 'Great to meet 'the team' supporting my child in school'. 'Lots of really useful information about how support is organised at Nook Lane, feel I can approach staff with any questions or concerns I have'. 'Was interesting to find out about all the different things going on in school to help children with different needs and emotional needs too'. Our annual coffee morning hosted in school and run by a fantastic team of parents from the Sheffield Parent Carer Forum was a great success! 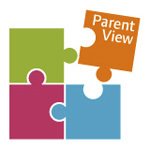 Parents of children with additional needs, relating to social communication and autism, were invited in to school to discuss current changes in SEND provision in Sheffield, how to support children through transition points and how school can support parents and families. The sessions are always really useful and informative and we find out so much about what is on offer for families of children with additional needs. 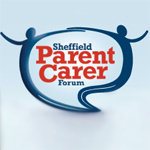 Parents can become members of the Sheffield Parent Carer Forum by contacting www.sheffieldparentcarerforum.org.uk or ringing 0300321421. The meetings usually take place at St Mary's Community Centre on Bramhall Lane. At the start of next academic year, the school intends to conduct an audit of families' particular requirements so that we can make the necessary provision for supporting anyone with a disability who visits the school. If parents, family members or other members of the Nook Lane community are disabled and/or have any special requirements regarding access, please contact the school office prior to visiting the school, so that the necessary arrangements can be put in place. In the autumn term the Inclusion Team invited parents and carers of pupils receiving additional support in school to an informal information evening to discuss and share the work carried out in school to help children in all aspects of their learning. Parents were offered the opportunity to come into school, at their convenience, to observe programmes of support being delivered to their child and look at useful resources to use at home. Before Christmas, in what is turning into an annual tradition, parents from the Sheffield Parent Carer Forum (see below) hosted an informal information session for parents and carers of pupils with additional needs on the autistic spectrum. This event is invaluable as information about local resources, events and support is shared and discussed. 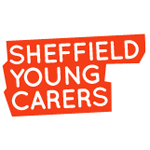 In the autumn term School Council chose the Sheffield Young Carers charity as the school's Christmas charity. Through collections at the Y3 Christmas performance, the money raised from the wonderful craft stall and by pupils in the Integrated Resource from their Christmas grotto, we are delighted to announce that the school community raised £296.49 for the charity. School Council hope to develop other fund raising events for the charity over the coming year. They would like to say a big thank you to everyone who supported this wonderful charity.